Satin-finished, wrap-around aluminum frame. Resilient natural cork is self healing with softboard dense backing. Smooth aluminum frame combined with durable black corner support for added quality. Package includes mounting hardware. 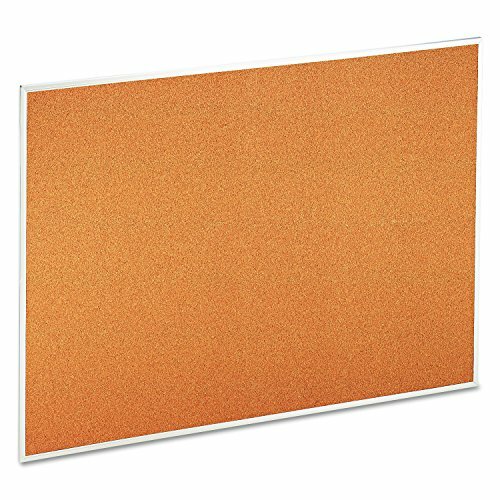 Board Type: Bulletin; Board Width: 48 in; Board Height: 36 in; Board Depth: N/A. A satin-finished 1/2" wide wrap-around aluminum frame for a simple yet sleek look. Resilient natural cork is self healing with softboard dense backing. Smooth aluminum frame combined with durable black corner support for added quality.